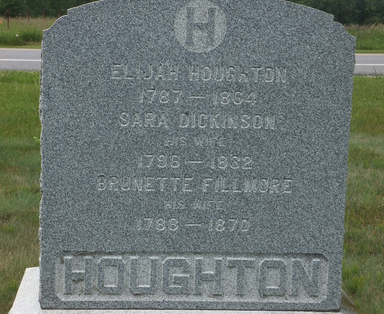 Emily Dickinson married Charles D. Houghton, son of Nahum Houghton Jr and Mary Marion Brown. Ella D. Houghton married Zenas F. Bailey in circa 1908 2nd wife; mar 2 years in 1910. Brunette Fillmore married Elijah Houghton, son of Jonas Houghton and Phebe Rixford. 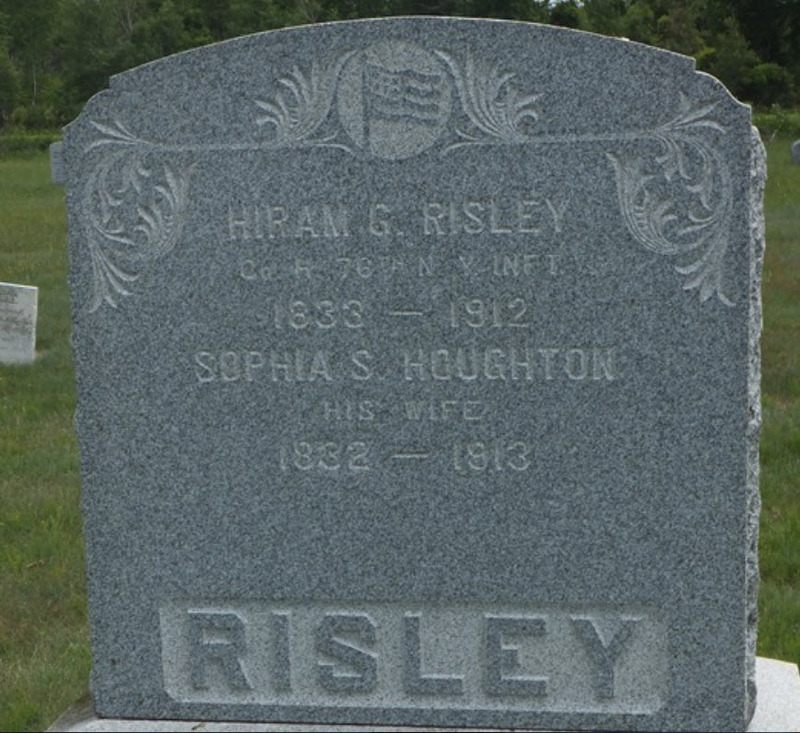 Sophia S. Houghton married Hiram G. Risley. Emily (?) married Charles C. Houghton. Keith Edward Mullaney married Linda Sue Houghton, daughter of John Edward Houghton and Marion Elizabeth Delatush, in Oct 14, 1977 at Cambridge, Middlesex Co., MA, USA. John Edward Houghton married Marion Elizabeth Delatush in Dec 14, 1944 at Red Bank, Monmouth Co., NJ, USA. James Isaac Gordon married Olive Houghton, daughter of Leland Houghton and Lovica C. Ripley, in Nov 20, 1860 at Rockville, Kankakee (now Will) Co., IL, USA, Lic. 852. Harriet Hollome married Francis Houghton, son of John Houghton and Sarah Bradford, in Jun 14, 1849 at Frithville, Lincolnshire, England. Naomi Hollome married Thomas Houghton, son of John Houghton and Sarah Bradford, in Apr 5, 1860 at Rotheram Episcopal Church, England, mar 40 years in 1900 census. John Houghton married Sarah Bradford. Harriet S. Winslow married James Houghton in Oct 2, 1851 at Dixfield, ME, USA. James Houghton married Harriet S. Winslow in Oct 2, 1851 at Dixfield, ME, USA. Adelia Ann Taylor married Frank M. Houghton, son of Frederick Houghton Jr and Sarah Porcher, in circa 1906 age 31 and 28; mar 4 y in 1910 census.